Gladstone Suns secure a major sponsor for 2019 Season! 16 Jan Gladstone Suns secure a major sponsor for 2019 Season! The Gladstone Suns AFL Club will shine a little brighter in the 2019 Season after securing the support of Bill Robertson Toyota as a major sponsor. The club has recently re-branded from Gladstone Mudcrabs to Gladstone Suns. Gladstone Suns’ president, Joe Walsh, said the club had been without a major sponsor for a number of years. He said that securing the support of Bill Robertson Toyota will help reduce membership fees and will assist the club with investing in further resources to better the facilities and develop the skills of their players. In recent years the game of AFL has become a popular sport for young people across Queensland. “Getting them to try the game is the hardest part. Once they try it, from the feedback we get, they love it and they usually return,” Joe said. The club’s recent rebranding brings many opportunities for sponsors, players and members. 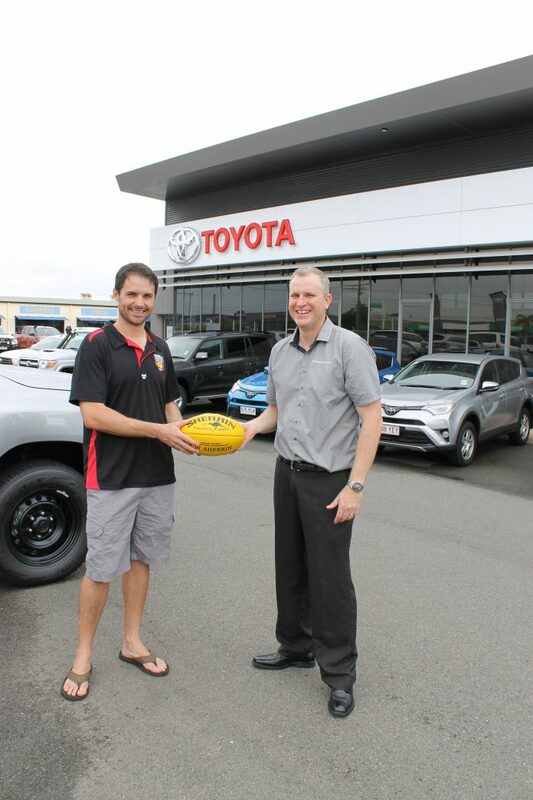 James Robertson, Dealer Principal of Bill Robertson Toyota said the businesses decision to sponsor the club was in line with Toyota’s long-term partnership with the AFL at a national level. “We approached the Gladstone Suns because Toyota is a big sponsor of AFL and we thought it would align well with the Toyota Brand. 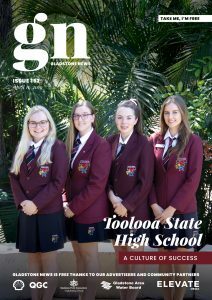 They (Gladstone Suns) were in the process of rebranding themselves so it was a good opportunity for us to step in as their major sponsor and see what we could do to help them in the season ahead,” Mr Robertson said.